KINGSO Industrial Retro Wall Mount Iron Pipe Shelf Hung Bracket Diy Storage Shelving Bookshelf Black 2PCS. -Industrial Bookshelf - MULTIPLE USAGE – Ideal for the living room, the bed room, kids room, the kitchen, as outside storage for gardening tools or plants, can be also used in the office for storage and display. 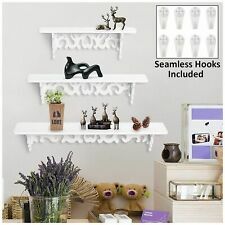 Durable Industrial Hairpin Bookcases Rack Support Wall Mount Shelf Bracket 2PCS. 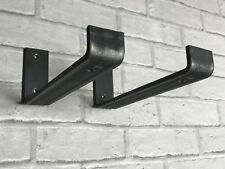 Set of 2 industrial style prism shelf brackets; Shelving board not included;. Sutable for living room, bedroom, bathroom, kitchen, etc. Manufactured using 5mm thick perspex. 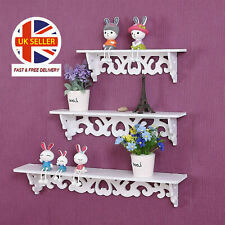 This shelf size is 400mm long & 150mm deep. These are manufactured in our own factory and are laser cut so the edges are highly polished and smooth. Can't find what you are looking for?. Highest quality Brackets with Fixings Handmade In U.K.
2/4/6x Iron Steampunk Industrial Urban Pipe Shelf Brackets Rustic Support 3/4"
Quantities from 2 - 100. Supporting pin 120mm long. 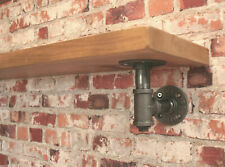 Pair Shelf / Wall Bracket Gallows c/w Lugs Antique Iron 8" (exact size is 210 x 210mm) 54mm across lugs. designed for that industrial looking shelf bracket. These have a twist with the words "King & Co Ltd" on them. Produced using 5mm thick perspex. MPN: straight shelf black. The size of this shelf is 400mm long & 150mm deep. Quality Products Manufactured In the UK. These are manufactured in our own factory and are laser cut so the edges are highly polished and smooth. 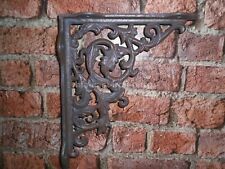 PAIR OF 6.5" ANTIQUE COPPER vintage cast iron rustic shelf support brackets. Condition is New. Our floating shelf brackets are 120mm in length, and suitable for shelves from 130mm up to 300mm width. These Hardened-Steel concealed shelf brackets are the sturdiest brackets available. 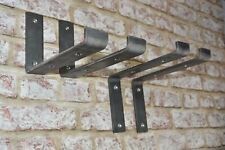 These brackets are only suitable when mounting the shelf onto a solid brick or breeze block wall or directly into the timber studs of an internal plasterboard wall. Pair of Traditional Ironbridge Shelf Brackets. Strong and elegant shelf support with a simple, arched design. Price is for two brackets. Perfect for supporting cisterns, sinks or book shelves. Beautiful natural iron look with a protective lacquer finish. The Brackets are constructed from high quality Stainless Steel,ensuring quality and longevity. 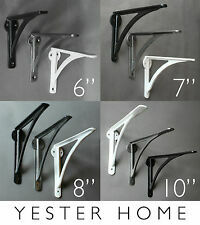 2x Shelf Brackets. Sutable for living room, bedroom, bathroom, kitchen, etc. Material: Iron. Size: 16x13x16cm (The error is about 0.3-0.5cm).